All Clarins products are made from natural plant extracts so are kind to the skin, leaving it feeling fully hydrated and refreshed. The Prescription Facial includes an eyebrow tidy to frame the eyes, a facial cleanse, exfoliation, tone and massage of your face and neck. All this is followed by a mask and moisturisation to leave you feeling relaxed and your skin revitalised. We are very proud to be a Clarins appointed Gold Salon. One of Clarins most prestigious Salons in the UK. A fusion of science, touch and the best products combined with the best application techniques make for exceptional treatments. 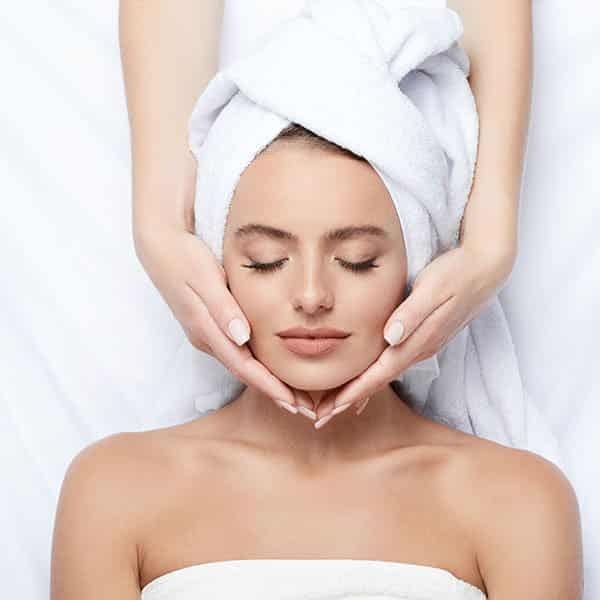 All our facials have been scientifically tested and developed with highly concentrated plant extracts, expert movements and attentive hands to deliver immediately visible results and optimal skin care benefits, that last. The Clarins Prescription Facial is a deeply relaxing rebalancing facial. Oily, congested, dry, dull, dehydrated, sensitive... Whatever your skin condition, this customised treatment will rebalance and rejuvenate the skin.